This is turning out to be a fantastic spring for rarities at Montrose. A Long-billed Curlew graced Montrose Beach on the morning of April 13. 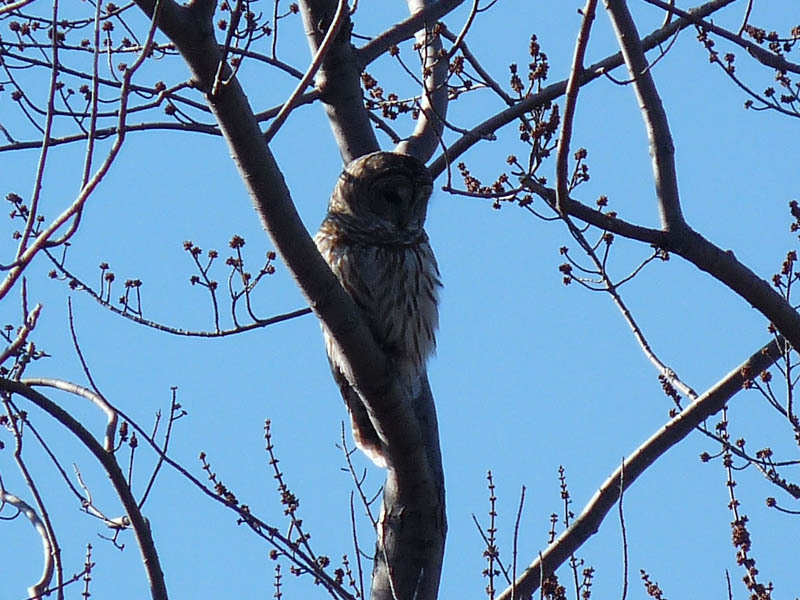 The bird flew off after a few minutes but returned a short while later before departing again for good. This is the first Illinois record since 1985 and a new species for Montrose, bringing the site total to a whopping 345. What else will show up this spring? 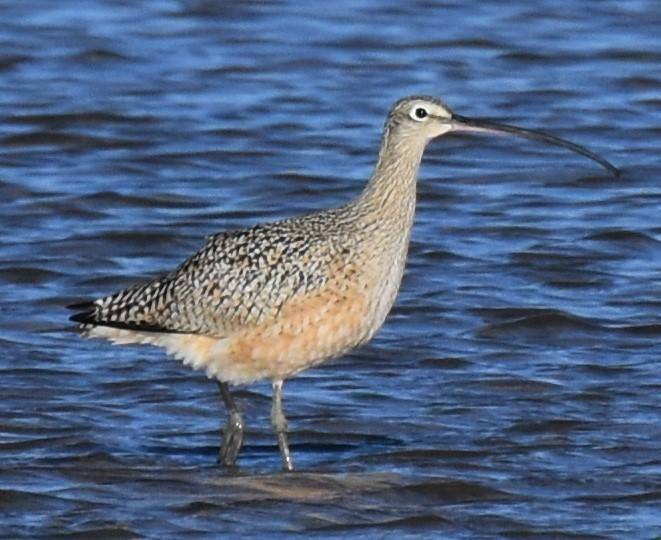 This entry was posted in Rare Birds, Spring Bird Reports and tagged Long-billed Curlew, Shorebirds on April 14, 2019 by rhughes. What nature giveth, nature also taketh away. Seeing a dead bird is always sad. 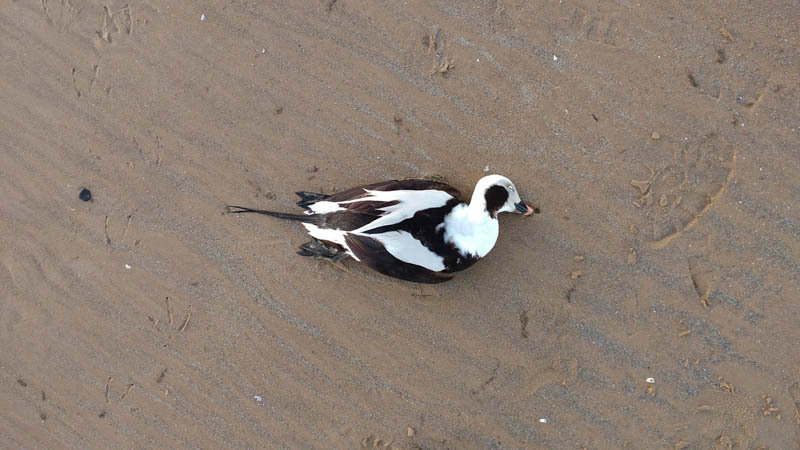 Seeing a dead bird as beautiful as a male Long-tailed Duck is poignant. This deceased Long-tailed Duck was on Montrose Beach on April 3. The bird was alive (but apparently not well) the day before but for unknown reasons didn’t survive. The specimen will go to the Field Museum where it will be available to scientists and others to study. Long-tailed Ducks are regular visitors to Lake Michigan during the colder months of the year. This entry was posted in Spring Bird Reports and tagged Long-tailed Duck, Waterfowl on April 4, 2019 by rhughes. Today was a good day to look at Lake Michigan – overcast skies, a flat surface, and excellent visibility most of the way to the horizon, perfect conditions for looking for birds on the water. While scanning the lake I found several groups of White-winged Scoters, a female Black Scoter, and 4 Long-tailed Ducks. The White-winged Scoters (~20) were scattered in small flocks 1/5 to 1/4 mile offshore from the fishing pier. With one of these flocks was a female Black Scoter, a good bird for Montrose in the spring. Finally, I saw a group of Long-tailed Ducks flying south far offshore. 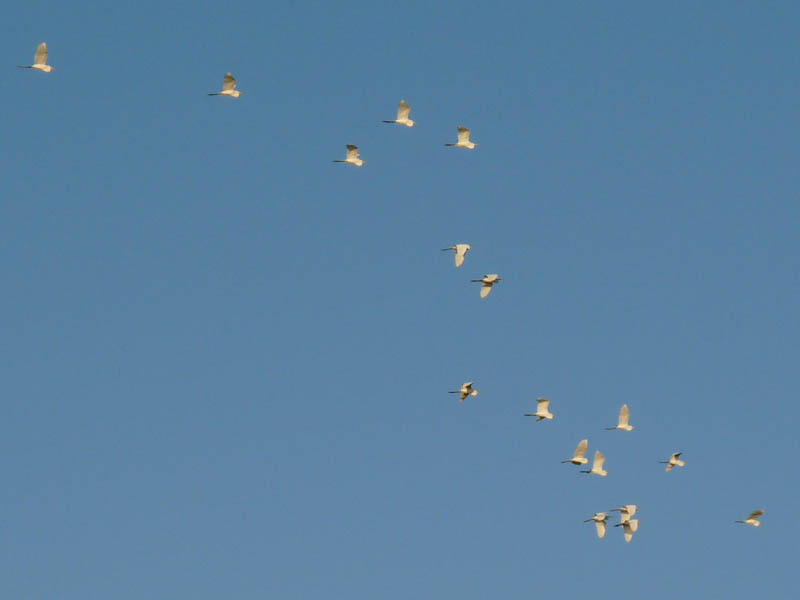 These birds landed eventually but disappeared because of distance. Also of note were about a dozen Double-crested Cormorants on the water crib a couple of miles offshore from Montrose, the beginnings of the nesting colony. Link to my eBird checklist for the day below. This entry was posted in Spring Bird Reports and tagged Black Scoter, Long-tailed Duck, Waterfowl, White-winged Scoter on March 18, 2019 by rhughes. Migration is still going on at Montrose, albeit at a slower pace than a week or 2 ago. A check of eBird for today, May 27, shows over 85 species reported, not half-bad for the final days of May. Montrose holds late migrants better than most other places; I keep birding it until about June 10. Some folks bird it through the month. One of my highlights today was this flock of 17 Great Egrets that came winging over. This entry was posted in Spring Bird Reports on May 27, 2018 by rhughes.